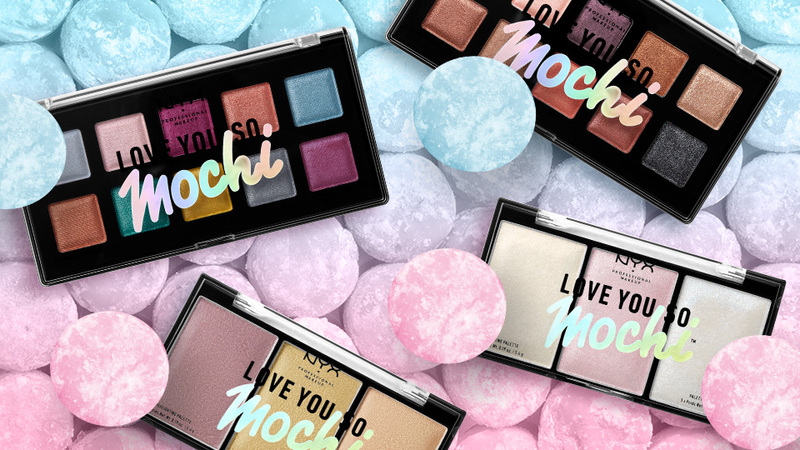 My/Mo Mochi Ice Cream has partnered with L’Oreal and Uber Eats to support the launch of NYX Professional Makeup’s “Love You So Mochi” Collection, inspired by My/Mo’s own pillowy, soft and colorful mochi! There will be 10 magnificent days of activities in New York and Los Angeles to support this launch. If you’re in Los Angeles – for today only, tap into #MochiMonday on the Uber Eats app between 2pm – 4pm to score your free #MochiMonday package! Each package includes (2) boxes of My/Mo Mochi Ice Cream and (2) NYX Professional Makeup Love You So Mochi Palettes. The Love You So Mochi eyeshadow palettes include ten bouncy, pigment-packed eyeshadows with a lightweight, shimmery finish, and come in 2 different color combinations. You’ll be glowing with the Love You So Mochi highlight palettes, which features 3 duo-chromatic highlighters. Spoiler alert: both palettes have a bouncy, silky-to-the-touch texture – just like My/Mo Mochi Ice Cream. Sweet!